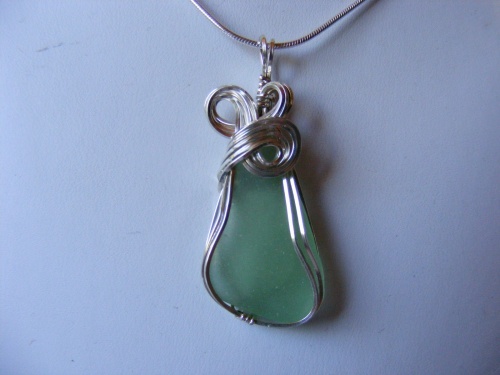 This really pretty colored piece of authentic seaglass is so unique. Ive seen dark green or kelly green or even lt green but never this color so I would say its rare. Picked right here on my local beach and, then sculpted with sterling silver bow like design to make it even more unique. Measures 1 3/4" from top of bail to bottom and 3/4" wide and comes with a sterling silver snake chain.